How we see our lives is how we live our lives. When is the last time you stopped to consider the unique perspective that each and every one of us has? When is the last time perspective-taking weighed into your personal and professional choices and communication? Do you know what a phoropter or retractor is? If you’ve ever had your eyes tested, chances are that you do. A phoropter is the device used by an optometrist to gauge your eye glass prescription. Through an alternating series of lenses, you are asked “Which one is better, option 1 or option 2?” The answer to this question (or some variation of this question) depends solely on the person behind the lens – it depends on you. We each have a uniquely valuable perspective on life – a lens through which we see our lives most accurately or ideally. It is what differentiates us from all others and is arguably the single greatest aspect of our uniqueness. It is also the foundation for one of the most powerful tools through which we can relate to and build relationships with others, which is perspective-taking. Through our unique lens (perspective) we interpret reality. We define what makes sense to us. However, we also don’t know what we don’t know, and perspective-taking provide a powerful tool to expand our own perspective by learning from the way others see life and the experiences that shaped them. We expand our own perspective when learning from the way others see life and the experiences that shaped them. I describe perspective as our personal filter, founded in the awareness and knowledge that stems from our experiences (experiential knowledge) + our unique composite of attributes, attitude and abilities. That is to say that not only our experiences, but our innate abilities, beliefs, values and acquired skills factor into the way we see life. An optimist will see the same situation very differently than someone who is immersed in pain or fear. Someone who has developed resilience will see adversity very differently than someone who is facing uncertainty or shock for the first time. There is no one perspective “better than” another. What matters is that we understand and respect the existence of multiple perspectives with working with others. If you’ve spent any amount of time in hospitals, you know how cold and downright regimented the environment can be. Meals, needles and doctors arrive at the same time every day, with the added flair of a less-than-desired procedure or test. In order to maintain one’s sense of self, humor and observation become critical components during a lengthy stay. During a month-long stint in hospital, I shared a room with many different people. Most often, they were women in their 80s; and they, like most in hospital, had no desire to be there. For the most part, their families had taken them away from their comfortable home routines because their health necessitated focused care. I loved the spirit that most of these women had – they were tenacious and brave, exhibiting the kind of strength I would hope to have at that age. One woman in particular stood out because of her tenacity. Margaret was admitted on Monday evening during my final week in hospital. Her son had convinced her to be admitted after her lung capacity had significantly deteriorated. In spite of her displeasure with being present amid the bland grey hospital walls, she lay peacefully in her bed. “I only poop on Thursdays,” she replied. After a drawn-out discussion involving the nurses trying to convince Margaret that such a habit was not normal, they finally let her be. Wednesday morning, at precisely 7:30, two new nurses entered our room to do rounds. After taking Margaret’s vitals, they asked her when her last bowel movement was. At 83, Margaret remained very sharp, rarely missing a beat. Given she had made her patterns and perspective amply clear the morning prior, she became mildly displeased that the nurses hadn’t remember what she clearly stated. “I poop on Thursdays,” she said. The conversation mimicked what we had heard 24-hours prior: a verbal back-and-forth of nurses trying to convince her that the way she did things was not healthy or right, with Margaret retorting by stating that it didn’t matter, because pooping on Thursdays worked for her. Thursday rolled around. Margaret pooped. You get the point. This all-too-human story is an exaggerated point to showcase how we all have our own unique perspective, and there is validity therein. We each have a viewpoint on what works and what doesn’t (for us), what makes sense and what doesn’t. So long as our perspectives represent respect for one-self and for other, none of these need to be labelled as right or wrong. This is to say that perspective taking allows for the expansion, growth and further application of our own knowledge, by extending our own perspective. It is the equivalent of seeing life as if through a tunnel and having someone break down the sides of the tunnel to create a more expansive perspective on life. Multiple perspectives are crucial to gain a full understanding of a concept, experience or environment. What are the Benefits of Respecting Perspectives? Added Dimension – Our perspective is our version of reality. Remember that we each have our own unique reality of this life – shaped by our experiences and the resulting lens through which we see the world. When we open ourselves to seeing life through the lens of another, it’s like looking through a telescope, rather than a microscope…and with that added dimension comes personal growth. 2. Building Empathy – Taking the time to respect the perspectives of others fosters understanding, empathy and compassion. We don’t have to agree with the way others interpret life or the circumstances or concepts therein, though we do have to respect that each one of us has our own unique viewpoint, founded in the unique set of circumstances that has shaped our present perspective. 3. Learning and Growth – We are each others’ teachers. When we choose to learn from each other, we expand our awareness of what is possible, for ourselves on a personal and professional level, and for us as a global society. When you take a moment to “look through the lens” of another to momentarily embrace or attempt to understand their perspective; what you may learn from them could very well be something that you may not have seen looking at life through your own personal lens. Perspective-taking is a multi-dimensional ability. It is about understanding not only someone’s visual assessment of reality (their viewpoint), but also their perceptual assessment (their understanding). The process is one of leaning in to see the world through someone’s lens, rather than fully stepping into their shoes. Psychology supports that the ability to remain in our own shoes is effective and desirable because of the lower amount of emotional stress involved in the empathetic process. Michael Poulin, associate professor at the State University of New York at Buffalo and colleagues showed in their 2017 study that an “imagine others” perspective leads to less stress than an “imagine self” perspective (i.e. walking a mile in someone else’s shoes). “You can think about another person’s feelings without taking those feelings upon yourself,” Poulin said. The distinction is important: staying in our own (shoes), while appreciating another’s visual and perceptual perspective. While the perspective-taking process can become complex when we dive into the multiple areas of the brain involved, the most important point is to always recall that we each have a unique perspective on life, and that each of these perspectives has value – like providing a multi-dimensional view on a single topic. When we take the time to understand and respect the perspectives of others, we are able to better serve them AND we accelerate our own personal and professional growth. 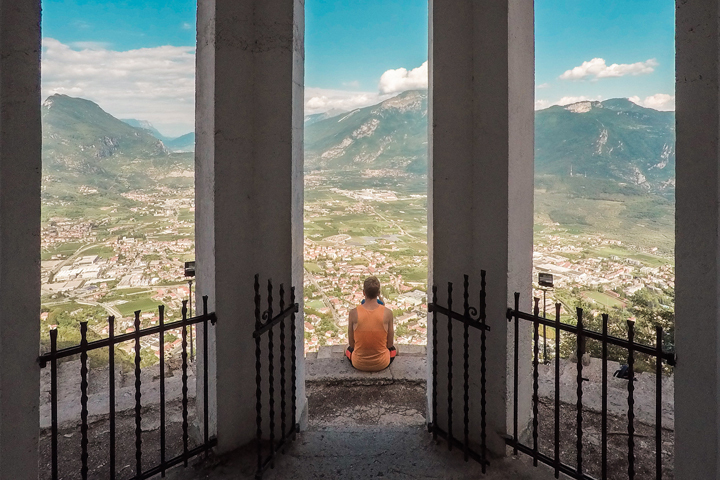 Appreciate Your Own Perspective – While it may seem like a selfish starting point, it is integral that we appreciate our own perspective (view) on life and how it was formed, in order to respect and appreciate the perspectives of others. If you can grasp the filter through which you assess and process life, then you begin to understand how others do the same, in a way that is distinct from you. When you can fully grasp the depths and heights to which you’ve travelled to reach our current viewpoint, you are less likely to judge another for how they see the world…no matter how vastly different it is from what we see. Allow the Other Person to Lead – Stephen Covey said it best in The 7 Habit of Highly Effective People, “Seek first to understand, then to be understood.” Before seeking to have your perspective understood, seek first to understand that of the other person. Use your lens as a point of relatability to support another in their viewpoint, or to provide a unique perspective that may foster an expanded perspective for them. Be 100% Present – Truly grasping the perspective of another requires that you be fully present when you are with someone, whether personally or professionally. It means offering them your undivided attention. Make the moment about them and create space for them to share what they have to share with you. Listen. Respect. We connect at a much deeper level when we understand each other, not only through the communication of our five senses, but also through the power of our intuition and awareness. Wanting to understand where a client has been and how they currently see the world is what allows us to truly help them get to where they want to go. If you don’t know where you are starting from and the tools (perspective) you are working with, you are not fully equipping yourself for collaborative success. “I understand” are two of the most powerful words you can usher, personally and professionally. Whether we believe in only pooping on Thursdays or hold a powerful world-shifting viewpoint, acknowledging and respecting the perspectives of others is the tool that fuels the depth of our contribution to others. 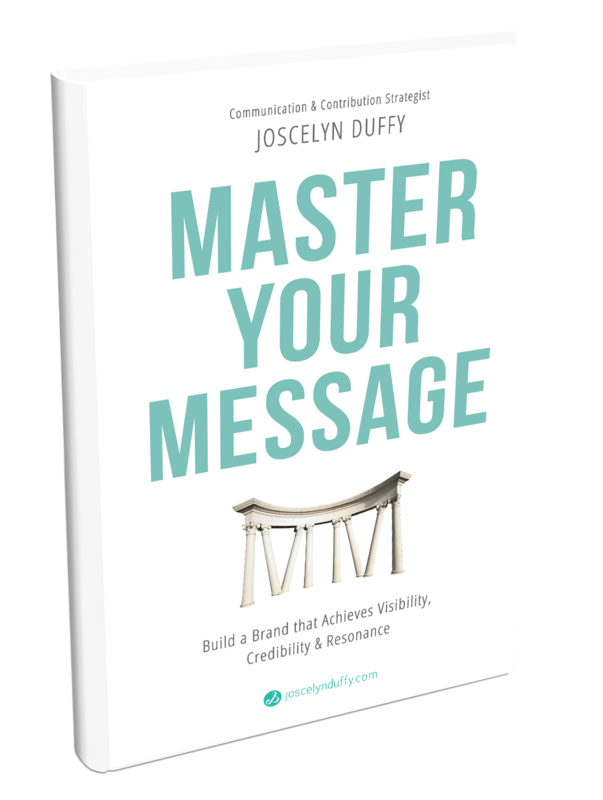 For valuable tips on how both you and those you serve can communicate your perspective, click HERE for your free copy of Communicating Value: 5 Steps to Increasing Long-term Visibility and Viability in Business. Thanks for a insightful blog post.